His Excellency was perhaps gilding the lily somewhat, if one remembers memorials in the shape of honour boards which began going up with the first casualty reports from Gallipoli in May 1915. But certainly it was the first cenotaph, so doubtless he meant the first public memorial of note. And the unveiling at which he was guest of honour was without doubt the first ceremony of a kind now replicated throughout the nation on the anniversary of the Gallipoli landing. 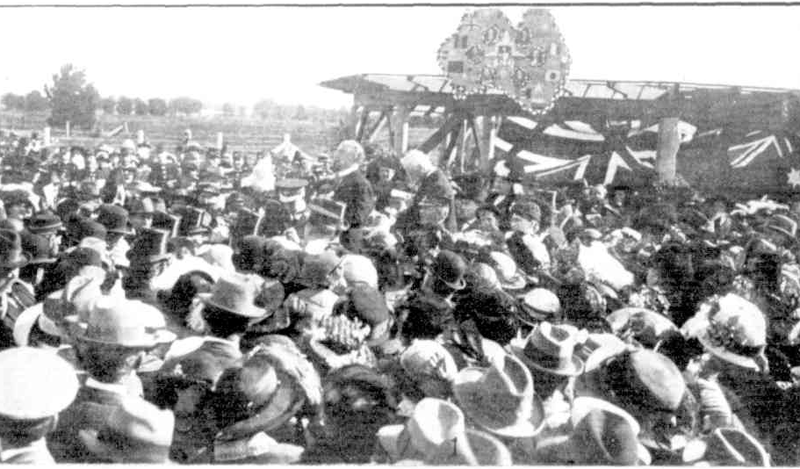 When the devotion by the Trades Hall Eight Hour Day Committee of the proceeds of Labour Day to the Anzacs is taken into account, it can be seen that Adelaide really was at the forefront of observances which evolved into Anzac Day. Whilst the politics of this custom remains complex, at its core was a wide-spread social conviction of the duty of remembrance of war service and the human cost of military conflict. Walter Torode, the builder of the Cenotaph intended it to have a non-military appearance in view of a peaceful post-war career. The proposition that it be surmounted by a tripod of rifles stacked at rest as at the Salisbury SA Cenotaph and elsewhere was accordingly set aside. 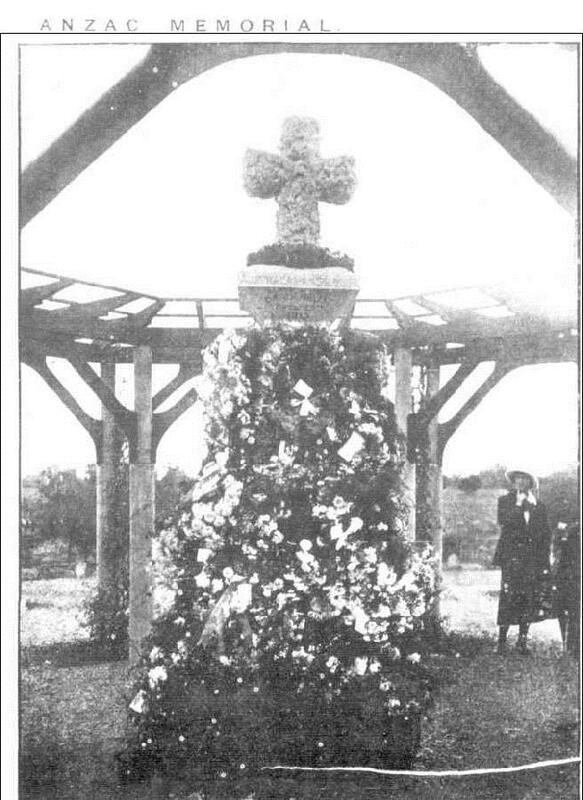 Originally the rough-hewn column deliberately reminiscent of the cliffs of Gallipoli was crowned, not by a cross, but by the Southern Cross in the night sky and a bowl of flowers.